So many women feel beaten down for their choices. Or feel proud and combative about their choices. Or feel angry about other people's choices. Or feel bitter about other people's reactions to their choices. The thing is, none of those outcomes are good. Mommy wars are so very likely to end in pride, heartache, and frustration. With each other. With ourselves. And that's not the way we Christians are supposed to interact with one another. There are some good things that can come when we share about our OWN choices. Curious people are satisfied. Confused people find more clarity. Unsure people may find sure footing (either in agreement or disagreement). Even people who are confident in their own choices may find their views/opinions sharpened and strengthened by hearing various other viewpoints. Sharing the biblical basis for our own decisions in parenting, home life, or marriage can be helpful for others who are either peers traveling the road with us, or for those who are slightly behind us on the road... to serve as guideposts for them as they eventually face some of the same choices in life. 1. Welcome others. (vs. 1) - We are, in our flesh, unwelcoming. 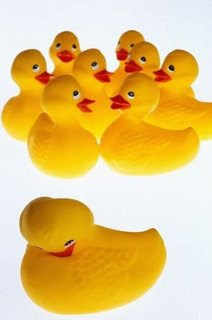 We are quick to section ourselves off into groups of those with whom we agree. 2. Do not quarrel over opinions (vs. 1) - We are, in our flesh, argumentative. We like to be "right". 3. Do not pass judgment on others (vs. 4, 10) - We are, in our flesh, critical and condemning. We like to be a part of "us" and not "them". 4. Be fully convinced in your own mind (vs. 5) - We may walk around airing opinions that we aren't fully convinced of. We may have a tendency to not think through things carefully. 5. Do not despise one another (vs. 10) - In our flesh, we may feel hatred for or look down on the people with whom we disagree. Though we are called to love, our disagreements can quickly deteriorate that love we are to have for one another. 6. Remember that we will give an account to God (vs. 12) - Not only for our words, but for our actions and beliefs. We are quick to forget that we're each responsible for our own lives. 7. Decide never to put a stumbling block in the way of someone else (vs. 13) - We can unnecessarily build walls or barriers between us and others. 8. Don't intentionally and overtly do something to grieve another believer (vs. 15) - We can cause pain to others by our choices and words. 9. Pursue peace (vs. 19) - We should major on the things that we can agree on with the Christians around us. 10. Pursue what will mutually build up one another (vs. 19) - Find common ground and strive to sharpen one another in that area. This doesn't come naturally; we have to work at it. Good stuff. It's amazing how the Bible really does speak into our lives, even from nearly 2,000 years ago. Any thoughts? Reuters: Are You A Bag Lady? Kitchen RemodelHow Much Kitchen Do You Need? Style TestKitchen Rorschach Test: What's Your Style? Prosumer KitchenSo What's a Prosumer Kitchen?